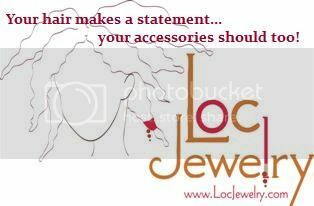 Loc Rocker: LocRocker is growing! LocRocker has a Twitter page. It's @LocRockin. I would have loved for it to be @LocRocker but some inactive busta has it. Boo! I had to think long and hard about doing this. I already actively tweet from @ClumpsOfMascara. I didn't want to bite off more than I can chew. But I figured it my girl @Luuvie can tweet from like 29 accounts and maintain 513 blogs, then I can certainly do this. Not to mention the Twitter natural hair community is, um...all the way live! There is a ton of support. We've got a Facebook page too! Now this wasn't my idea. But 200 100 2 people requested this and so...here we go. I'll link this page up to my Blackberry so that I can snap loc related stuffs. I am always running into beautiful loc'ers on the streets and so now I can show them off in the Facebook group. Without their permission of course. HA! Now a YouTube channel is pushin' it. But I will continue to do hair updates on my regular channel DivineBlackness. LocRocker also has a new email address: Brittany@LocRocker.com. The Clumps of Mascara email address was sick and tired of seeing LR emails. Crazy, I know. I LOVE your blog! I am locking up in a week and you in addition to my loc'd cousin have been such inspirations to me. My cousin's words "It's gonna get ugly before it gets pretty but the results are so worth it in the end." LOL! She believes in "keeping it real" just as you do. I have really enjoyed watching and reading about your journey. Keep up the great work! You are such a blessing. Thank you, darling!! And congrats on starting your journey. I can't wait to see installation. So yep, I'll be following your journey as well. We're in this together! I agree with Kysha...I have browsed all of your blog entries between yesterday and today. It is very entertaining, inspiring and informational. I am about a month into my loc journey and am chronicling it journey on Fotki...I will certainly be back to visit on a regular basis! LOL at me having 513 blog. Sadly, you're right. WOO HOO LocRocker! 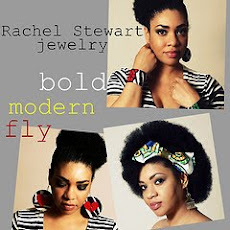 you and Chesca are my favorite bloggers of locs! :)so glad i found ya. It's because of y'all that I started blogging (doubt I will ever get a big fanbase but i do enjoy blogging about my hair for myself and for others).